The foundation pillars on which an effective weight-loss program stands are a healthy, well-balanced, calorie-controlled diet and a well-planned exercise regimen. 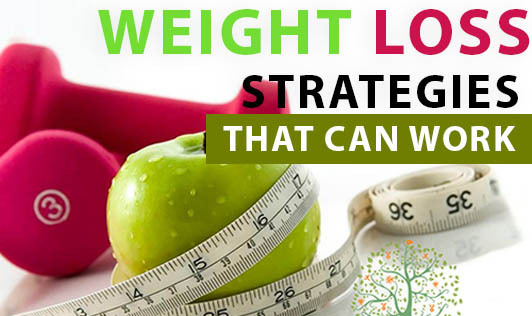 One needs to go for permanent lifestyle changes of healthy habits for a successful weight-loss. Making an honest commitment: Permanent weight-loss takes time and some real and honest effort. Weight-loss will require your deep focus. Try addressing other stress-related issues in your life: financial problems, personal conflicts etc. before you set sail on a weight-loss mission. It's understandable that such issues cannot be just wiped out completely but this will improve your focus on your weight loss program. Don't defer it for whimsical reasons. Finding inner motivation: Nobody else will make you shed kilos. You would need to find the motivation from within. Make a list of things which you think is capable of truly motivating you and helping you to stay focused. You should be able to fall back on these motivational factors during moments of temptation. While inner motivation is most important, support of friends and family also counts a lot. Handpick such people without any sense of shame or guilt. Setting realistic goals: Do not cheat yourself by setting overzealous goals because when you are unable to achieve them, the disappointment can be really bad. Your goals should be smart, specific, measurable, attainable, meaningful and time-limited. An example of a smart goal is aiming to walk for half an hour a day, five days a week for the next three months, and keeping a log of your results. Consuming healthier foods: Lowering of total calorie intake is a key step in the entire process of weight-loss. This does not necessarily mean that you have to give up on taste or even ease of meal preparation. A useful way of lowering calorie-intake is to eat more and more plant-based foods - fruits, vegetables and fruit grains. Apart from this, cut down on sugars and fat/oil, go for low-fat dairy products and consume minimum non-vegetarian food. Staying active: Combining exercise with a low-calorie diet gives you the edge. Do not underestimate the importance of a good workout routine. Hit the gym under proper supervision. Go for walks. Use stairs instead of lifts. Stay active during the day as much as you can. Not only do these tips aid in weight-loss, other health benefits also come along. Brace yourself with some drastic changes!